Selecting a professional carpet cleaning company can be tough, but Centreville residents know they can trust Mighty Clean. 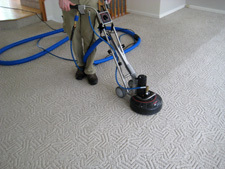 We are a professional Carpet Cleaning Company serving Centreville Virginia. We offer Carpet Cleaning Centreville VA, Upholstery Cleaning, Area Rug Cleaning, Tile and Grout Cleaning, Mattress Cleaning, Carpet and Fabric Protection, and more. Your carpet is a big investment, but normal wear & tear can quickly leave it looking dull and dingy. When it’s time to hire a professional carpet cleaner, how do you find a company who knows how to property care for your investment? Why do Centreville VA residents choose Mighty Clean for their Carpet Cleaning needs. With Mighty Clean Carpet Care you don’t just get some guy with cleaning equipment!. Our expert carpet cleaning technicians go through extensive training to learn the chemistry behind the solutions they use. Technicians are certified by the I.I.C.R.C. an independent certification body that oversees the cleaning industry. With this knowledge along with professional grade equipment we are able to remove more soils, and pollutants leaving your carpets cleaner and lasting longer. Our process was developed over time by IICRC Certifed carpet cleaning experts. Just as the best method for cleaning clothes requires hot water, detergent, and agitation, so does cleaning your carpets. Thats why our system uses superior heat, agitation, and powerful truckmounted suction. Our clients in Centreville VA are happy to know that their carpets are left clean and healthy when they call Mighty Clean Carper Care. Our Carpet Cleaning guarantee is second to none. If you’re not totally satisfied with the results following your cleaning, we’ll return to clean any areas of concern at no cost to you. If for whatever reason your still not totally satisfied we’ll refund your money no questions asked. Centreville is a community located in Fairfax County, Virginia. Centreville is located approximately 20 miles outside of Washington DC. Centreville hasn’t always been a busy suburban area, in fact in 1943 the Virginia state map book indicated each building in the town, and actually misspelled the name. 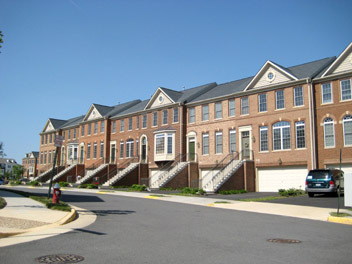 Centreville, now a noticeably larger suburb of Washington, DC, due to the influx of technology companies experienced a boom in population in the late ’09s and early 2000s. Mighty Clean carpet care started carpet cleaning centreville va in 2007.Centreville is a normal wealthy suburb, with many communities including town homes, single family/detached homes, strip malls, a movie theater (Centreville Multiplex Cinema) and several larger community developments including Little Rocky Run, Newgate, Virginia Run, Gate Post Estates, and several others. 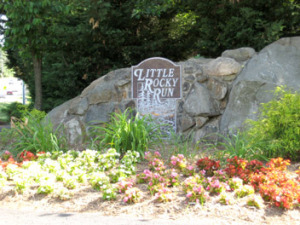 Little Rocky Run Community is surrounded by and partially located within Clifton Virginia as well as Centreville and has it’s own Elementary School, Union Mill Elementary, within walking distance for residents. Centreville High School CVHS, home of the Wildcats is located on Union Mill Rd near New Braddock Rd. The Center View is the local Newspaper and records local events and information in the community and other surrounding areas including Clifton. Centreville is accessed by several major roads including Rt. 29 with enters the town from the west and is the main rd passing through the town. Virginia Rt. 28 enters the town through the south and intersects with rt 29 at a major intersection in Centreville. Interstate 66 passes through the town from the south-west and intersects with both major Routes on its way to Washington, D.C.